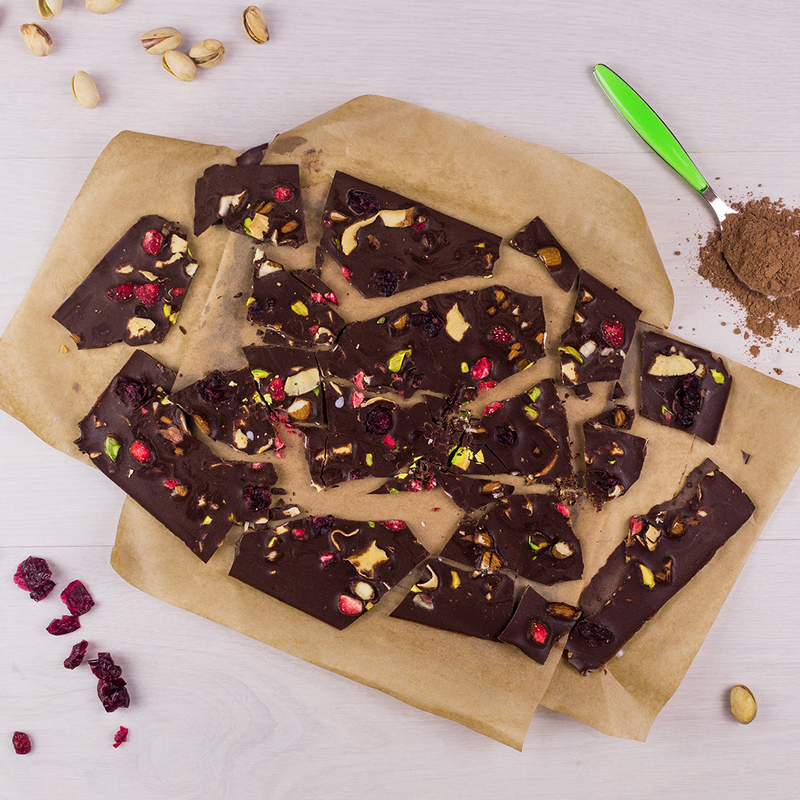 This Cacao Bark looks impressive but is super simple to make. You can customise this recipe with your own favourite toppings. Line a 20x20cm square pan or a small baking sheet with two pieces of parchment paper, one going each way. Set aside. In a medium saucepan, melt the coconut oil over a low heat. Once melted, remove from the heat and whisk in the cacao powder, maple syrup and almond butter. Using a spatula, spread the chocolate mixture onto the baking tray and smooth out. Sprinkle on the toppings and place in the freezer for 15 minutes to set. Once frozen, break apart the bark and store in the freezer until ready to eat.